Reuters has just confirmed that Circuit City will take back your HD DVD player if it was purchased within 90 days in exchange for a Blu-ray Player. Just remember that most Blu-ray players will be more expensive than the HD DVD player you bought, so plan on spending more than you originally anticipated for a hi def player. Or, wait a bit on the Blu-ray player until prices go down. Many analysts anticipate a $299 BD player by next holiday season. 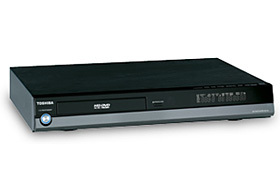 In the meantime, hold on to the HD DVD player and use it as an upconverting player for your standard DVD collection. Just don’t invest too much in HD DVD discs, you’ll be using them as coasters if your HD DVD player breaks down. Best Buy has not announced any similar offer, but either company will take back your HD DVD player if it was purchased within 30 days and you have a receipt. You can either get a full refund or credit towards a Blu-ray player.